Playing Fantasy Golf at Fantasy Feud is a bit different than playing at some of the other sites. 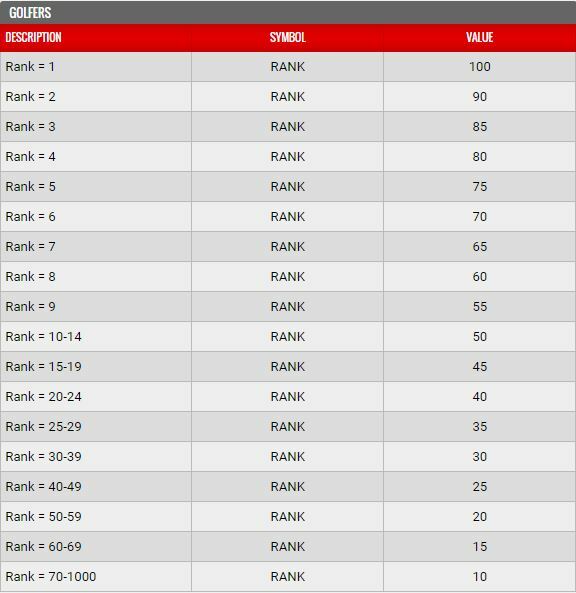 The scoring system is very different from the other DFS sites that offer PGA Tour Fantasy Golf. So realizing those differences are while also understanding our Fantasy Feud Fantasy Golf Tips and Strategies will help you create a winning lineup. The variation of how Fantasy Feud games are scored makes them an interesting option, so signing up and giving them a try is worth it. Join Fantasy Feud Here and use Fantasy Feud Promo Code REALMONEY to get a top bonus of 100% up to $500 free! 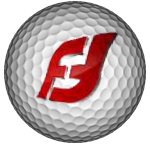 Unlike other Daily Fantasy Sports sites that offer PGA Tour Fantasy Golf, points are scored based on where a golfer finishes in a tournament as opposed to individual scoring that rewards for Pars, Birdies and Eagles and penalizes for Bogeys and Double Bogeys. The key to winning your fantasy golf game at Fantasy Feud – get top finishers (or at least more top finishers than your opponent). When you do your research for your lineup, you need to find guys that consistently make cuts – as even a final cut gets you 10 points. Also, at the same time, being able to fit into your salary cap 1 or 2 top golfers that you believe will win or at least finish top 5. How Many Players For A Lineup? Your salary cap golf lineup at FF consists of 10 golfers; this gives you some leeway when picking players because you can take some chances on some sleeper picks at a low cost. With most leagues needing only a team of 6, you have little room for error if one of your guys misses the cut. How Much Is The Salary Cap? Fantasy Feud has a Salary Cap of $1 Million for 10 players, at an average of $100,000/player, there are good choices to creating a lineup. Find those sleeper picks that will make the cut for $60K or $75K so that you can pick up some top guys (usually between $150-$200K) leaving plenty of good players around $100K. You will probably need about 4 players under the $100K salary mark to create a good team – so do your research and find those golf sleeper picks. Pick the winners! I know, simple answer, but given that the point system is weighted heavily towards players finishing in the Top 10 of their PGA Tour tournament, you need to focus on guys that make cuts, are playing well, and have a good course history. You can take a chance on some sleeper picks, but you better be sure about the top salary picks you make. If you pick the 2 top players in the field and they both put up stinkers, your team is toast unless someone else rises up. If you can create a team where all ten players score you points, you should be a winner consistently playing fantasy golf at Fantasy Feud.